Submarine fibre optic cables—they’re the little-talked about infrastructure networks that underpin global communications; in fact, you’re almost certainly relying on one right now. 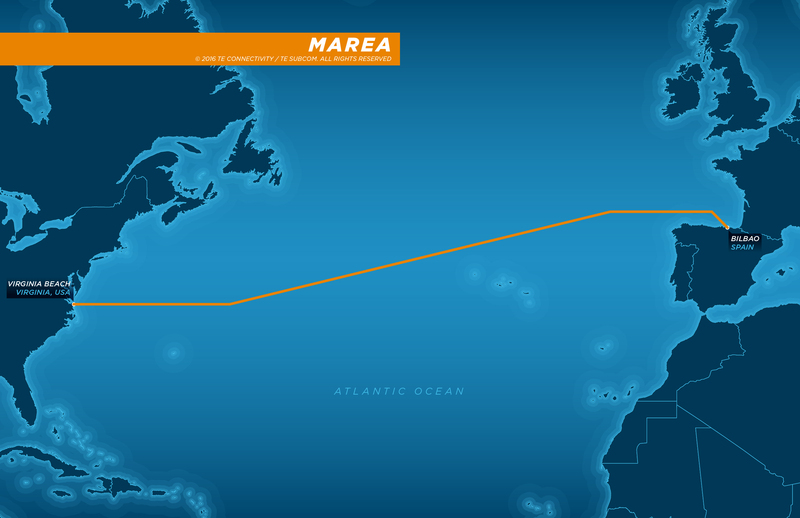 Today, the highest-capacity submarine cable to ever cross the Atlantic—the MAREA, Spanish for ‘tide’—will make landfall. Funded by Microsoft and Facebook, the 6,600-kilometre MAREA project will ultimately link Spain to America’s east coast, making it one of the few cable systems that directly connects North America to the European continent (two existing cables run directly to France but subsequently run through the UK). Seven of the 10 existing transatlantic lines transit through the UK, where the country’s signals intelligence agency, GCHQ, has distinguished itself for its ability to intercept, tap and copy data from undersea cables under the Tempora program. This data, which includes everything from emails to images to Facebook conversations and everything in-between, is subsequently shared with America’s NSA. Whistle-blower Edward Snowdon says the Brits are “worse than the US” when it comes to large-scale online surveillance; documents he released show GCHQ lawyers boasting that the UK has a “light oversight regime”. By bypassing the UK, MAREA will be the first transatlantic cable shielded from the prying eyes of British intelligence—something privacy advocates the world over will be cheering. 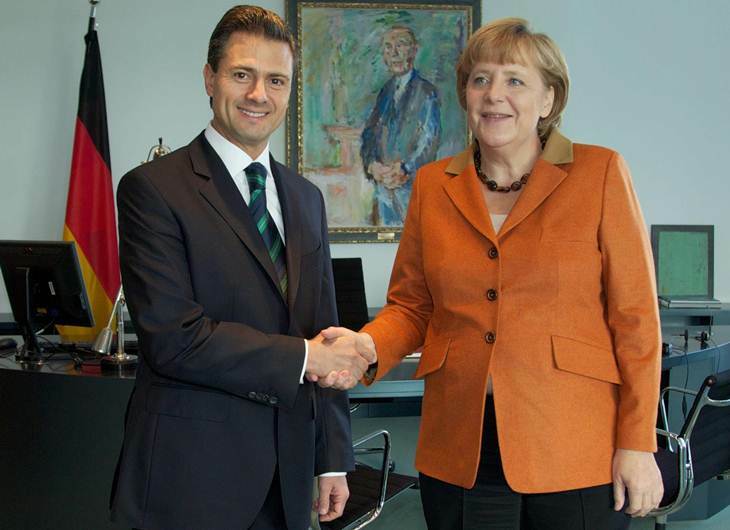 After a visit to Argentina, German Chancellor Angela Merkel will arrive in Mexico today, where she’ll be welcomed by President Enrique Pena Nieto. The visit takes place in anticipation of the G20 summit in Hamburg in July. Both countries are among the top exporting nations, with Germany being number one in Europe and Mexico holding the title in Latin America. Amid attacks from US President Donald Trump levelled at the two country’s trade imbalances with the USA, the two leaders are expected to reiterate their commitment to free trade and open markets. Strained relations with their northern neighbour have pushed Mexican policy-makers to deepen ties with their transatlantic partners. The EU and Mexico launched negotiations for a free trade agreement last year, with talks expected to conclude by year’s end. The EU is Mexico’s third largest trading partner after China and the US. Even if the two economies draw closer, Mexico can’t escape its neighbours. As late dictator, Porfirio Diaz once remarked: “Poor Mexico. So far from God, so close to the United States”. The glitzy Kazakh capital of Astana will play host to Expo2017, which kicks off on Saturday and will be spread over the next three months. The exhibition will focus on securing “safe and sustainable access to energy”, a topical focus given almost a fifth of the world’s population doesn’t have access to electricity while the remaining four-fifths are seeking cleaner ways of generating it. Whether Kazakhstan is a suitable location for a summit that names “reducing CO2 emissions” as one of its primary goals is questionable. Globally, the former Soviet state is the 16th largest producer of oil and 10th largest coal producer. 40% of government revenue is generated from selling hydrocarbons and three-quarters of its electricity comes from dirty coal-burning plants. Nonetheless, long-time President Nursultan Nazarbayev is determined to seek greener pastures. The government recently pledged to source half of its energy needs from renewable sources by 2050. 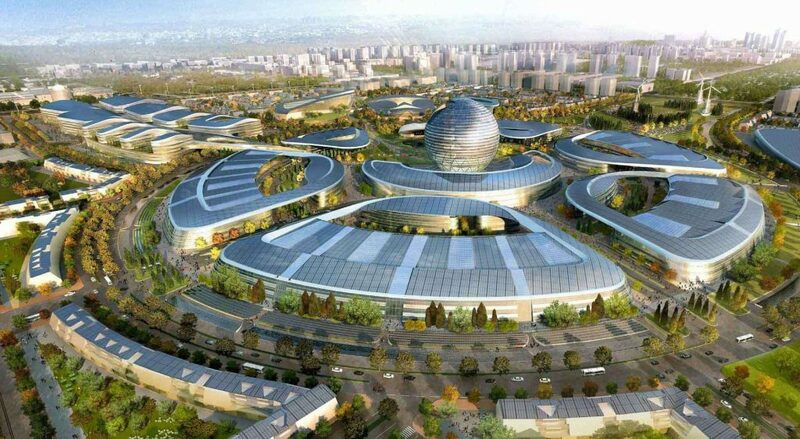 17 world leaders are expected to attend the opening of Expo2017 on Friday, most notably China’s Xi Jinping—whose country could well emerge as a renewable energy superpower in the coming decades. Stay tuned for UK election results. The BBC will post live updates here. The Japanese city of Sakata will hold evacuation drills. Located along the Sea of Japan coastline, Sakata is well within the range of North Korea’s medium-range ballistic missiles. Yesterday, Pyongyang conducted its fourth missile test in the past 30 days, launching anti-ship missiles off its east coast. Meanwhile, newly elected South Korea President Moon Jae-in announced he was suspending the deployment of the US-backed THAAD anti-missile system—a move bound to ruffle feathers in Washington but appease policy-makers in Beijing. Apple Inc is expected to unveil a new service called Business Chat, which seeks to entice enterprise firms who want to communicate directly with their customers. The app is an apparent attempt to steal market share from Facebook and Twitter, both of which are used by business to communicate to customers.